When you’re down or feeling depressed & complications arise – they can defeat you. When your attitude & happiness is strong – you can face those challenges head on. The light is just past the gloom – so weather thru it. 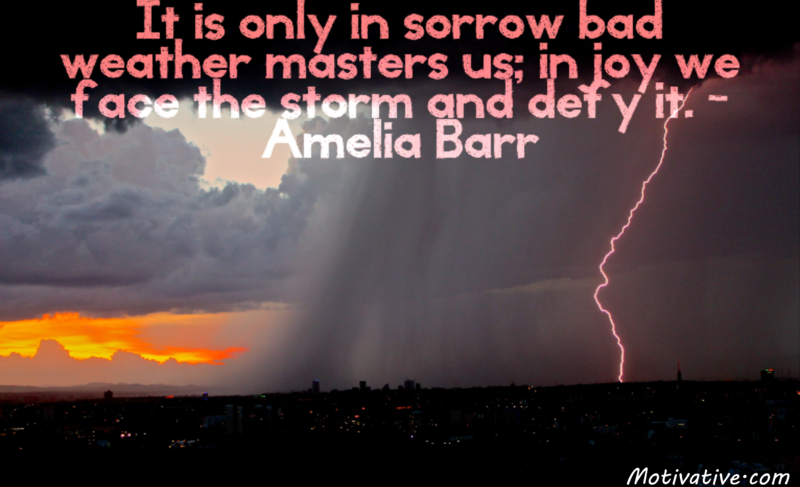 You may even see some beauty in that storm as it passes over.